In January of 2017, New Frame Creative created a new tri-fold brochure for The Wellhouse of Knoxville. The Wellhouse is an extension of nonprofit organization Open Heart Doula, and is dedicated to creating a place for Knoxville families to find valuable resources and to build a community of support for mothers. 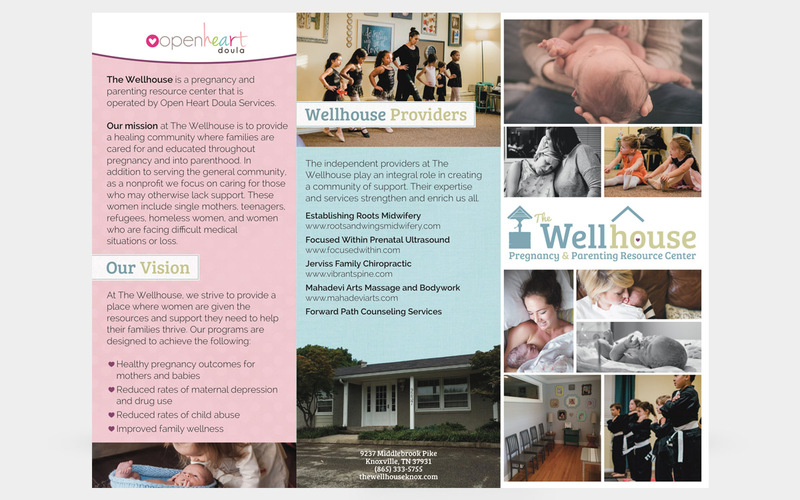 The Wellhouse offers a variety of services, support groups and classes for parents and children.